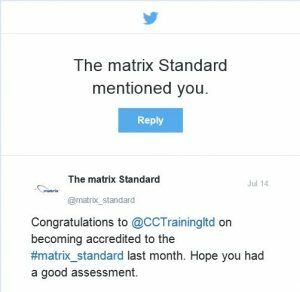 Central Construction Training Limited are pleased to announce that we have been accredited for, and now hold the matrix Standard. With this accreditation we are joining a select number of Organisations that have benefited from working with the Standard. These include Universities, Further/Higher Education Colleges, Schools and Academies, Next Step Providers, Voluntary and Community Organisations. The matrix Standard is recognised within the sector as sign of a quality assured organisation. It is a respected and exacting standard – which we know will assure our clients and students of our ongoing commitment to quality.